A fun guide to beer and, of course, spas, oodles of noodles, and the best ski slopes in winter. A summer and winter primer to Sapporo and the delightful island of Hokkaido, Japan. HOKKAIDO, in the far north of Japan, is an entertaining Asian winter playground that has, over the years, stamped itself firmly on the travel calendar. Say “ski” and the response will be “Sapporo”. While the snows, partying crowds and winter ice-carving carnivals will not disappoint, Hokkaido Island is also an attractive summer destination. There are spas, hikes, rides, scenic vistas at every turn and a dramatic, scenic coastline. In winter, however, the place really comes into its own. For a true taste of Japan skiing and white powder, Hokkaido ski resorts and hotels offer an attractive range for all wallets. As Japan’s fifth largest city, Sapporo has grown by leaps and bounds. The city’s population was all of seven in 1857! 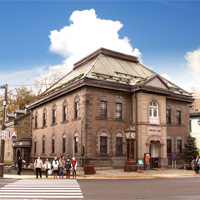 Sapporo Breweries, the oldest beer company in Japan, set up shop here in 1877 and runs the Sapporo Beer Museum. This was renovated in 2004 and has developed into one of the city’s major draws, with official “Hokkaido Heritage” recognition. Alas the tours are in Japanese but English audio tapes are available. The 12-block Odori Park, where much of the Sapporo Snow Festival action takes place, runs ramrod straight through the city dividing it into clearly demarcated north and south districts. The historic Clock Tower is another must-see Sapporo sight. It was built in 1878 and also houses a small museum now. Also check out the old Hokkaido Government Building and pop into Otaru City for a romantic stroll along the scenic Otaru Canal. All international and inter-island flights touchdown in Sapporo’s New Chitose Airport. Handling around 19m passengers annually, it is the largest airport in Hokkaido and the third busiest in Japan. To accommodate the growing number of passengers from overseas, a new terminal opened in March 2010. The airport handles over 120 daily landings and departures with direct services to several international destinations. The airport is roughly 35km from downtown and the 35-minute run by rapid transit train from the airport to JR Sapporo station will cost just over Y1,000 (US$1 = Y111). The 80-minute bus journey into town from the airport costs roughly the same. On with our Sapporo guide and Hokkaido ski resorts wrap. If you’re coming from Toyko, you might want to consider one of several night trains operated by Japan Railways (www.jrhokkaido.co.jp). They are popular though so do book in advance. The basic but comfortable Hokutosei sleeper train does the Ueno (Tokyo) to Sapporo run in 16 hours. There are daily departures in each direction. Invest a little more in your ticket and you can travel in the more luxurious but less frequent Cassiopeia, which leaves each city three times a week. This double-decker overnight train takes 17 hours for the run and offers private rooms only. From Osaka you can catch the Twilight Express. It does the journey to Sapporo in around 21 hours with one departure each day. December is a pleasant time to visit and a White Christmas is a likely bet. January is the coldest month and headgear and snow boots are recommended. The coldest temperature apparently recorded on the island is minus 23 degrees Celsius (on 18 January, 1945). 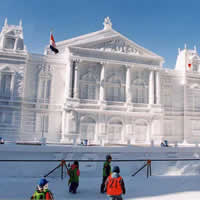 The annual, seven-day Sapporo Snow Festival (www.snowfes.com) takes place in early February. It is an event worth working into your calendar, as are views of the “petrified” iced-up trees in the gardens of the Hokkaido prefectural government building. The snow festival is celebrated at the main festival site, Odori Park, as well as the grounds of the Community Dome Tsudome. Expect mazes and slides, and Susukino, featuring hundreds of huge ice monuments and carvings with international teams in attendance. By April the weather is warming up but it is still possible to ski in the higher reaches. Skunk cabbages (white flowers, not vegetables!) are all the rage this time of year and in late April or early May the cherry blossoms erupt accompanied by clicking cameras and cooing honeymooners. While in Otaru, spare some time for a wander down nostalgia lane. Explore old buildings and warehouses now serving as snazzy restaurants, glassworks and museums. Down in Noboribetsu, the spa town, there’s a large bear park, but animal lovers may want to steer well clear, as animal welfare experts have criticised the depressing conditions the bears are kept in. Try computer-simulated challenges in cross-country skiing, speed-skating and ski-jumping at the Winter Sports Museum (tel:[81-11] 631-2000). You'll find it at the foot of the 134m ski-jump, which was used in Sapporo's Olympics. Non-acrophobic visitors can take the chairlift to the top of the jump, or hike up. Opposite, in Makomanai Park, is the Salmon Museum (www.sapporo-park.or.jp) where sushi lovers can learn more about their favourite snack. For panoramic views over the city head to JR Tower's 160m-high observation deck (www.jr-tower.com). Take the lift to the 38th floor and enjoy the vistas with a coffee by day, or cocktail by night. The Historic Village of Hokkaido (tel: [81-11] 898-2692 or info@kaitaku.or.jp) exhibits traditional buildings from all over Hokkaido dating back to the Meiji and Taisho periods (1868 to 1926), and is divided into different types of villages such as fishing, farming and mountain. The signs are mainly in Japanese so it’s best to go with a Japanese-speaking friend or tour guide. If fish and old buildings don't get your heart pumping, try a trip to Sapporo Art Park (www.artpark.or.jp). Explore 7.5 hectares of scenic woodland and stumble across more than 70 sculptures created by 65 different artists. Until recently Mount Moiwa was a popular sightseeing area due to its cable car ride and panoramic viewing platform but, due to refurbishment, these facilities are closed until autumn 2011. The mountaintop restaurant is getting a revamp, which is good news because while the views were impressive, the atmosphere was more like a well-meaning cafeteria with vending machines. The Sapporo Kokusai Ski Area (tel: [81-11] 598-4511, November to May, www.sapporo-kokusai.jp – Japanese language only) offers some of the region’s best and biggest ski and snowboarding grounds with amazingly easy access just an hour from Sapporo, and some excellent ski runs. There are seven courses here ranging from advanced to beginner. English-speaking instructors are available but it is best for your hotel to call and arrange for this well in advance (one-on-one instruction for two hours, Y13,000). An adult all-day lift and gondola pass is about Y4,600 while students fork out just Y2,000. Younger kids get in for Y1,000 and under-sixes for free. 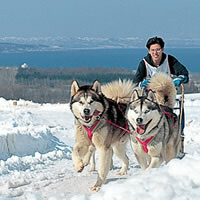 The Sapporo Teine highland ski area (tel: [81-11] 683-3721, November-April, www.sapporo-teine.com) is a popular draw. Several women’s events were held here during the 1972 Sapporo Winter Olympics. The location, about a 40-minute car drive from Sapporo, is convenient, and there are more downhill ski runs than you could shake a ski pole at. JR Buses also ply from the Miyanosawa subway station up to Teine Highland. The 4,000m “Natural Course” is ideal for families and the less intrepid. At the other end of the scale, the North Wall offers a maximum gradient of 36 degrees. Snowboarding is permitted in several areas but not on the North Wall. The views are spectacular as you progress up the ski lift. The Teine Olympia ski area (tel: [81-11] 681-3191, December to April) offers a variety of courses. 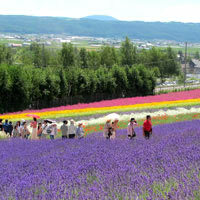 This area is also located around 40 minutes from Sapporo. Shirakaba is ideal for beginners while the Shirakaba Roman course provides a splendid spectacle at night as the white birch trees are lit up. Japan Rail buses from the Miyanosawa subway station take just over 20 minutes to get here. It is worth noting that there’s fairly generous car parking space as well. Sapporo Moiwayama Skiing Ground (tel: [81-11] 581-0914, www.rinyu.co.jp/modules, December to March) welcomes everyone from beginners to advanced skiers. There’s no snowboarding here. Slice through the moonlit snow during the popular night skiing sessions, which run until 9pm and offer great views of the glowing city skyline. A popular all-in-one ski getaway choice is the Rusutsu Resort (tel: [81-13] 646-3111, en.rusutsu.co.jp). Only 90 minutes by car from the airport, Rusutsu offers 19 lifts and 37 different courses covering 42km across three mountains, both for beginners and advanced skiers and snowboarders. There is also a “Kids Park” slope for children and, from December to March, a day-care centre for children from the age of one to pre-schoolers. There are various accommodation options and an assortment of shops and restaurants providing a destination within a destination. Also on the menu is dog sledding through the snowfields. One-day ski tickets run from Y3,800 to Y5,100. Snowmobiling is also a popular pastime in this area. During the summer the resort transforms into a 72-hole golf course and amusement park. 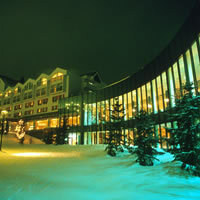 At the base of Niseko Annupuri Mountain is the Hilton Niseko Village (tel: [81-13] 644-1111), e-mail: niseko@hilton.com or www.hiltonworldresorts.com) a generously expansive resort that opened mid 2008. Its biggest draw for ski bunnies (and snow boarders) is its 'ski-in, ski-out' location, just five steps away from the gondola that will whisk them up the mountain. 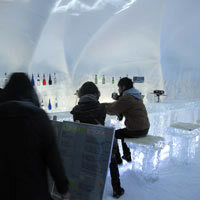 There are 506 rooms, and five restaurants - some with fine views of the winter wonderland outside. But it's not just a winter spot - golfers will delight in the two 18-hole courses nearby, and sports buffs can indulge in tennis (there are a staggering 23 courts), mountain biking, white water rafting, hiking and horse riding. After all that activity, sit back, relax, and take in the views from the outdoor onsen. Just around the mountain from the Hilton, and 150m down from the Annupuri gondola, is Annupuri Village (www.annupurivillage.com), a picture-postcard collection of alpine-style wooden chalets. Each fully-furnished luxury cabin is set on 2,000sq m of land and can accommodate groups of between two and 12 people. The bilingual guest services team will help arrange everything from airport transfers to restaurant reservations. Whether you want to learn a basic snow plough or how to tackle mischievous moguls, head to Niseko International Snowsports School (NISS), located at the Hanazono resort (www.skihanazono.com) also in Niseko. The resort lies 1,000m below the peak of the Niseko Annupuri Mountain and offers over one vertical kilometre of snow with a wide variety of terrain for skiing and riding at all levels. Private and group lessons are available plus there’s a kids' school, workshops for teenage skiers, know-how sessions for women and powder guides to help you find that all-important virgin snow. There are also three terrain parks including a half pipe and an adventure park with a winter zipline, snow tubing and snow rafting. And the fun doesn't end when the snow thaws. During the summer months you can pump your adrenaline with a spot of white-water rafting, wakeboarding or take a spin around the impressive mountain bike park, which includes jumps and country trails. Located close to downtown Sapporo, is the family-friendly Bankei Ski Area (tel: [81-11] 641-0071 or www.bankei.co.jp), which will hold no interest for advanced skiers but is perfect for children and wobbly beginners. Likewise, learn the basics on gentle slopes at Fu's Snow Area (www1.ocn.ne.jp), which is 30 minutes by taxi from Sapporo JR Station. Both offer group or private ski lessons. There’s a fair bit of good-natured drunken après-ski available in Sapporo. The options range from live music to bars, pubs and noodle joints where steaming ramen will warm the bones. At the Music Pub Harmony (tel: [81-11] 251-6311, www.mp-harmony.com) in the New Hokusei Building, guests will have to face the music as staff members serenade them with all manner of instruments from flute and violin to the piano. Sapporo Club Heights (tel: [81-11] 531-1821) in Tohokuraku Building, is a large cabaret establishment with a reasonably decent reputation. It’s been around for over 30 years so it must have something going for it apart from the obligatory bevy of sinuous hostesses. If the karaoke urge is upon you, head to Kuro-to-Shiro (tel: 512-8991) in Daimatsu Building, which has on its lists over 40,000 selections. For cocktails head to chic and stylish Betty Bleu (tel: [81-11] 552-2515), which attracts a crowd of fashionable young Sapporians but for a more international bunch of boozers check out the lively Rad Brothers bar (tel: [81-11] 561-3601). Football fans in need of a sports fix can pull up a stool at the Sapporo Soccer Cafe (tel:[81-11] 520-5275) a charming little bar, which has one wall covered with large TV screens showing top games from around the world. If you want a slice of expat life in Sapporo then The Gaijin Bar (tel: [81-11] 272-1033) is the place for you. The word gaijin means foreigner and most of the drinkers here are non-Japanese. As well as a good selection of beers, this friendly bar serves classic comfort food such as burgers and pies. For dining options, scout out the Susukino area. This is a humungous entertainment district with restaurants, karaoke joints, pachinko parlours and saucy corners for sizzled salarymen. For tasty dining tips also visit this helpful local website (www.sapporo-cci.or.jp). Try the 130-year-old Azumazushi (tel: [81-11] 261-7161, www.azumazushi.com) for fresh seafood and sushi, or Gyuno-ishizaki (tel: [81-11] 251-8721, gyunoishizaki.cool.ne.jp) for shabu-shabu and sukiyaki. Ebikanigassen (tel: [81-11] 210-0411, www.ebikani.co.jp) does more than 70 types of prawn and crab dishes. Kushidoribangaichi (tel: [81-11] 531-1818), which takes orders until 1.30am, offers grilled dishes and Hyosetsu no mon (tel: [81-11] 521-3046, www.hyousetsu.co.jp) offers king crabs. Still, no visit to Japan is ever complete without a visit to a steaming ramen noodle parlour and Ramen Higuma (tel: [81-11] 518-2423) will not hurt the wallet with its Y800 to Y900 servings. Give it a whirl. And if you really want to roll up your sleeves and dive in, squeeze into the narrow alley of Ramen Yokocho where there’s nothing but small steaming noodle shops all the way down. Downtown choices may include Uoyaiccyo Tokeidai-Dori Ten (tel: [81-11] 232-0343) in the Hotel Hokke Club Sapporo, which is one of five Uoyaiccho restaurants in the city and does seafood, as well as sushi and rice dishes, Yamatoya Honten (tel: [81-11] 241-6353) for seafood, and Sekkatei (tel: [81-11] 251-1366) near Susukino subway station for crabs. The Sapporo Beer Garden (tel: [81-11] 742-1531, www.sapporo-bier-garten.jp) can be found next to the brewery and is a welcoming red brick building with a constantly changing ambience year to year. Grab a draft and choice Japanese snacks. Head to the second floor Kessel Hall for barbecued mutton served on hot plates shaped like Hokkaido. If you’re still hungry after all that ale and charred meat, wander down to Sushizen (tel: 612-0068) for some less gut-busting sushi. For something different pop into the renowned Ishiya Chocolate Factory (www.shiroikoibito.ishiya.co.jp) for a salivating tour and a choccie nibble. Their cookies are a major draw with visitors to Sapporo. There's even a chocolate museum and self-styled chefs can have a go making their own creations - under careful supervision of course. Just don't eat too much. For top-of-the-line, ask for the "shiro koibito" cookies (literally "white beloved ones"). Carnivores won't mind queuing for a table at popular barbecue restaurant Jingisukan Daruma Rokuyon (tel: [81-11] 533-8929) while the more health conscious might consider cosy Shojin Restaurant (tel: [81-11] 562-7020), which serves macrobiotic, organic and vegetarian specialties. If you love ramen you'll be spoilt for choice at Sapporo Ramen Kyowakoku – a collection of eight small ramen shops on the 10th floor of the Esta Building (tel: [81-11] 213-2111), which is connected to Sapporo Station. There is also a vast food court in the basement selling an endless array of yakitori. Slurp up oodles of homemade udon noodles at Sankakuyama Goemon (tel: 81-11 261-9701), a little restaurant with a big reputation, specialising in shoyu (soy sauce) ramen. For irresistible cakes and frothy coffee, check out Rokkatei Maruyamaten (tel: [81-11] 612-6666). A warning to smokers, downtown Sapporo is a smoke-free area, which means no lighting up in public streets or public facilities. If you want to smoke outside, look for one of the designated areas or risk being fined. There are still smoking areas in most cafes and bars. Another huge attraction on the island are the Hokkaido spa resorts and bubbling onsens. There are some stunning options available. The well-known Jozankei Hot Springs (tel: [81-11] 598-2012, www.jyozankei.com), open 24 hours daily, is perhaps the best place to commence your Sapporo spa circuit. It is just an hour from the city centre and has a prized location in a lovely gorge with a picture-postcard waterfall as well. What more could you ask for? The spa is reputed to cure ailments ranging from gastric disorders to rheumatism. There are a number of hotels to choose from in the area, should you want to stay over. Noboribetsu (www.noboribetsu-spa.jp) is the largest onsen (spa area) and is very popular with holidaymakers and locals alike. The waters are bristling with all manner of minerals and the source of this rich thermal supply is the charmingly named Hell Valley (Jigokudani). The area offers some devilishly good sightseeing and walks. 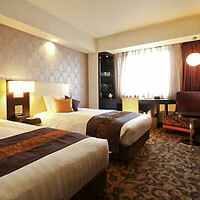 There are several hotels in the area to choose from should you extend your visit to an overnight stay. Call the Noboribetsu Tourist Information Office on [81-14] 384-3311 for more information. Noribetsu city also boasts a slightly bizarre but actually quite decent aquarium housed in a Danish-style castle (www.nixe.co.jp) and an equally eccentric Edo-era recreation complex complete with period costumes and the like (www.edo-trip.jp). Want to be a samurai? Drop in. The Noboribetsu Grand Hotel (tel: [81-14] 384-2101, www.nobogura.co.jp) is a comfortable and modern option. The hotel prides itself in having Japan’s only “full-scale, dome-shaped Roman bath” and also has a “garden-style, open-air bath”, as well as a “family bath”. Park Side Spa (tel: [81-11] 512-3456; open 11am to 1am) at the Arc Hotel, Sapporo, (hop off at the Nakajima Koen Station) is a pampering option. If you're looking for Sapporo spas, try the bathing area here, which is well maintained and classy and the waters are drawn from a natural hot spring that flows beneath the hotel. Massages and beauty treatments are also available. Bashful bathers will be pleased to learn that there are separate male and female facilities. Entrance is Y1,800, or go the whole hog for just Y3,000. Shogetsu Grand Hotel (tel: [81-11] 598-4126, www.shogetsugrand.com), on the banks of the Toyohira River, enjoys a splendid tree-clad location. The hotel itself offers charming views of the surrounds. Inside things are distinctly Japanese-style with tatami (woven straw mats) in the rooms. You sleep on futons on the floor but there is no skimping on style or luxury. An attractive feature at this hotel is the generous indoor public bath that offers lovely views. There is also an outdoor bath. Spend a moment at the spectacular crater waters of Lake Toya (close to Noboribetsu). Apart from the agreeable scenery, visitors will enjoy the hot springs and ryokan (Japanese inns) dotting the rim of the lake. The waters here are famous for their therapeutic qualities. One of the best ways to experience Japanese hospitality is by staying in a traditional inn, or ryokan. Don’t expect a luxurious five-star experience with marshmallow beds and cookies on your pillow after turn down. Many ryokans have minimal heating, firm tatami beds and few (if any) staff will speak English. But this is an authentic experience, which you will only encounter in Japan so go with open eyes (and an extra jumper). If you're willing to splash out then try one of the properties under the The Ryokan Collection banner. Located only 30-minutes from Sapporo, atop Cape Hiraiso in the port city of Otaru, you'll find Ginrinsou (www.ryokancollection.com) one of Hokkaido's most prestigious ryokans. Exquisite but pricey, this inn has a hugely atmospheric open-air hot spring bath, which offers panoramic views of Ishikari Bay. The 18 rooms are elegant in their simplicity and feature natural wood and stone in classic yet welcoming traditional Japanese styles. Many include in-room hot spring baths and views of the bay. Try French and seasonal Japanese dishes at the grill. A far cheaper alternative is to seek out one of the smaller family-run ryokans or ryokan-hotel hybrids at the Japanese Guest Houses website (www.japaneseguesthouses.com). A charming and reasonably priced ryokan is Jozankei Nukumorino-Yado Furukawa (www.yado-furu.com), which has hot spring baths for men and women on its top floor. 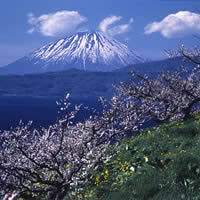 Hokkaido possesses some amazing natural terrain and several companies offer on-the-edge adventure breaks. For die-hard snowmobile nuts, Snowmobile-Land Sapporo (tel: [81-11] 661-5355 during working hours, e-mail: info@snowmobileland.jp or www.snowmobilelandsapporo.com) is 20 minutes from downtown Sapporo. Offering a fleet of snowmobiles and tours ranging from 30 minutes to two hours, it sells itself as “the largest snowmobile tour company outside North America”. The popular, one-hour “hot pick” course package will see you revving your way to the 600m peak of a quarry and costs Y10,000, including the rental of protective clothing, the practice course and the tour. The “cool pick” course will take you deep into Sapporo’s pristine backcountry and will set you back Y13,500. The courses are open in winter, from December until the end of March, depending on snowfall. Car parking is free but there are just 26 spots available. For anything ranging from rafting and mountain biking to rock climbing, kayaking and more, try NOASC (tel: [81-136] 231-688, e-mail: info@noasc.com or www.noasc.com). The company, which operates in three Hokkaido locations, has, thank heavens, English-speaking instructors and guides so it is unlikely that you’ll find yourself skiing downhill by kayak. Adventure equipment is available too so just bring yourself. 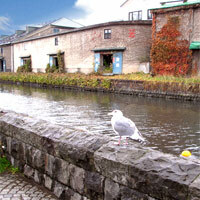 For river runs, Riva-Up (tel: [81-11] 742-6653, www.phoenix-c.or.jp) does guided canoe tours of the Toyohira River. There are lessons for starters and more adventurous options too. Hokkaido has a wide range of golf courses to choose from each with something a bit special – historical ambience, great views or scenic grounds. Whatever your ability, there will be a course that more than suits your needs. If trees and water hazards appeal, try the Katsura Golf Club (www.pacificgolf.co.jp), an 18-hole forest course with undulating fairways and strategically placed dry creeks. At the end of the day, there’s something for everyone in Hokkaido, be it families, romancing couples or boisterous singles in search of après-ski and a tall lager. 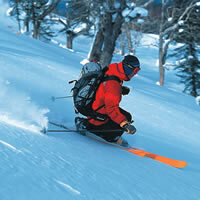 Check out packages too as ski holidays are a major industry here. It is likely your national airline will have an all-inclusive ski holiday deal on offer. This will work out a lot cheaper than buying hotel and air ticket separately. Before you grab your ski gear, hang-glider and canoe, and head to the hills, do check out the Sapporo Tourist Association (www.sta.or.jp) and helpful local websites such as www.welcome.city.sapporo.jp and www.conventionsapporo.jp. For a genuine steam train experience with grey smoke, coal dust - well not too much - and a super cabin experience try Japanese Steam Locomotives (travair.jp), which runs seasonal puggers on select routes. 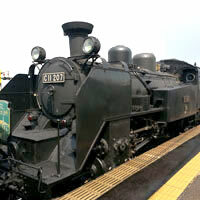 The C11-207 engine does a Hokkaido run and the timetable is available on the website. Cabin interiors are spartan, very Japanese, but neat and comfortable with occasional cherry blossom trimmings. The C11 are smaller locomotives that were produced in the 1930s and a few have undergone repair and a dramatic return to the tracks during holiday seasons. There are a huge number of Sapporo hotel choices so take your pick. The Mercure Hotel Sapporo (tel: [81-11] 513-1100, www.mercure.com), located in the popular entertainment district of Susukino, has 285 cleanly designed rooms with basic amenities and complimentary WiFi. Other well-regarded addresses include the Sapporo Aspen Hotel (www.aspen-hotel.co.jp), the hard-to-find but ever-popular Dormy Inn (4-1, Minami 2 jo Nishi 6 chome, Chuo-ku, Sapporo city centre, or through Japan Hotels & Ryokans at www.jnto.go.jp) and the splendidly make-believe Hotel Monterey Sapporo (www.hotelmonterey.co.jp). The posh Hotel Okura Sapporo (www.okura.com) serves up the high end in Japanese-style hospitality while the refurbished 511-room Sheraton Sapporo Hotel (www.starwoodhotels.com/sheraton/) offers the regular mod-cons. 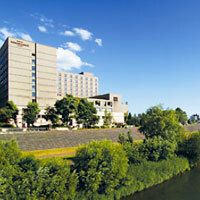 Also explore the Keio Plaza Hotel Sapporo (www.keioplaza-sapporo.co.jp), the 230-room downtown Novotel Sapporo (www.accorhotels.com), the riverside Renaissance Sapporo Hotel (www.marriott.com), the mid-range Ramada Sapporo (www.ramada.com), and the Best Western Hotel Fino (www.bwjapan.co.jp/finosapporo/). And that’s our Sapporo fun guide to ski resorts, spas, dining and hotels. Sayonara.